Today I’m sharing my High Protein Shake Recipe Without Protein Powder. 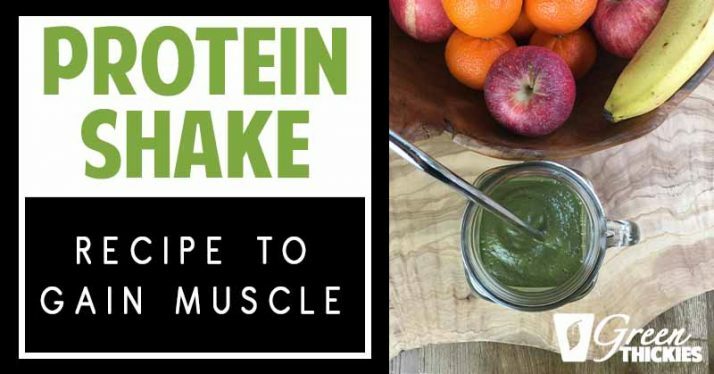 This shake will help you put on muscle, while still losing weight and meeting all of your nutritional needs, giving you a crazy amount of energy that will propel you through your workouts. 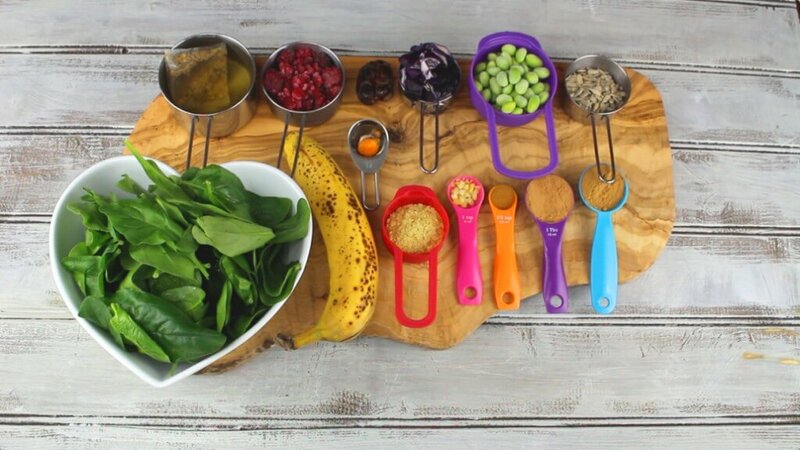 Today I’m going deep into the science behind my choice of ingredients so you can understand why each item in this smoothie is so powerful for your health. Watch the full recipe video here or read the blog post below for the recipe. 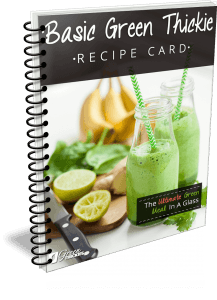 And perhaps you, as you are surely interested in this high protein shake recipe without protein powder, or you wouldn’t be reading it? And I’m so happy that you are interested. Because, I truly don’t believe protein powders are healthy for us – and the science backs up my opinion too. I’ve also put numerous protein powders to the test and I always suffer with digestive discomfort. So I’ve been experimenting with more natural whole food high protein shakes for years now. This is my latest creation – a smoothie (otherwise known as a Green Thickie because it is a complete meal) that I have been drinking twice a day, 5 days a week lately. So what’s the obsession with high protein? And do we really need to eat high protein? The science actually says no – and you can read my post answering how much protein we need here. But lately I’ve been getting into bodybuilding at the gym. My aim is to pack on some serious muscle. Every source I turn to says that to build muscle, you need more protein than normal. This is probably a topic that will be debated until the cows come home. But what’s my opinion? 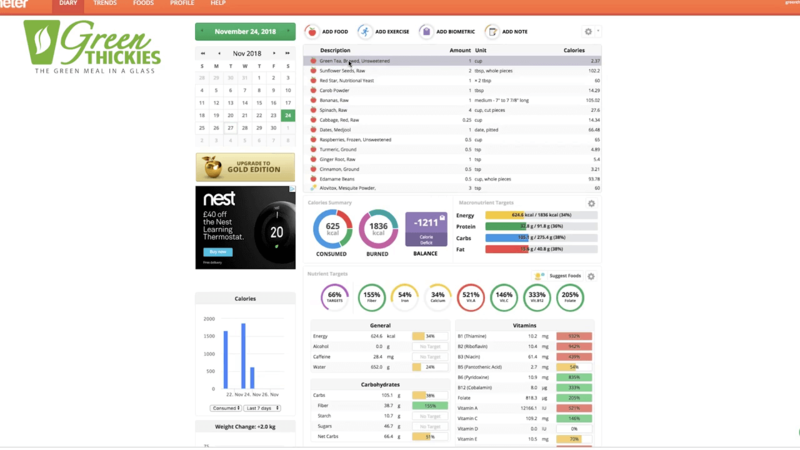 It’s a little too early in my weight lifting journey to see the results of different protein intakes, and I’ll write more on this in the future when I have more results to speak of. But I do have some of my own evidence already. For 10 months I was on a very low protein diet as I was healing on a raw food fruit based diet. I was still within RDA guidelines most days, and I didn’t work on strength based exercise for most of this time. But towards the end of my raw food diet, I started to work on strength, and I found that I often felt a little weak, and didn’t really see any improvements. But when I switched to a higher protein diet as I started eating more beans, lentils and soya in my diet, I started seeing very fast progress in the gym. It seemed that every time I went, I could lift a heavier weight (I know these are newbie gains) and very quickly I could see some major muscle developing all over my body which was really exciting. I still wouldn’t say my protein intake is high, probably around 20% of my diet but it seemed like it was having a good effect on my strength and energy levels. Better than the 5-10% that I was on before. The only problem I see with eating a higher protein diet is for small females who are trying to lose weight. I would still like to lose a little weight myself and I am small in height. 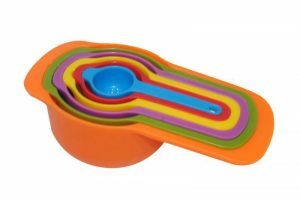 So this doesn’t give me many calories to play with as a man who is very tall and has a lot of muscle on his body. 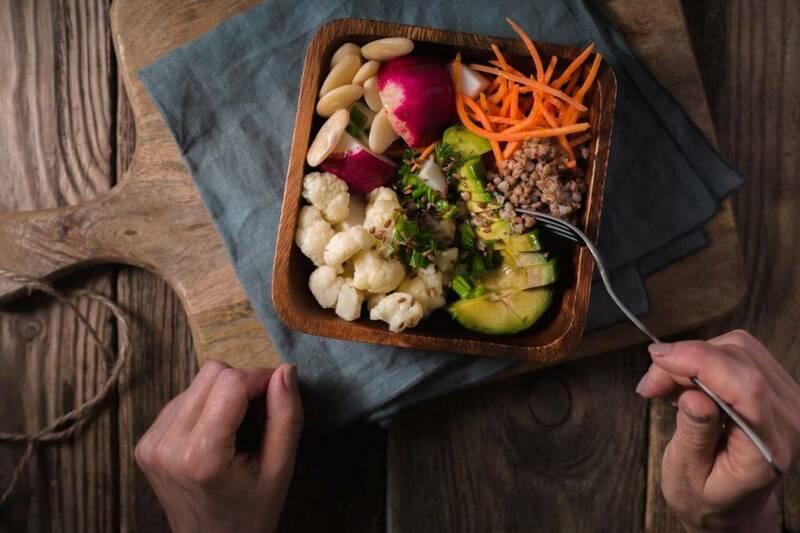 And I have to be careful that I can squeeze in all of my nutrients on a daily basis, and not place too much emphasis on protein at the expense of some important micronutrients. I have found a couple of vegan weight lifters who eat more around the 10% protein mark and still seem to make great progress with their muscle gains. So the jury is out as to whether 10% or 20% protein is better. But I will put it to the test myself, as I encourage you to do also. As you know, nutrition is very very important to me, much more important than my macronutrients (how much protein, carbs and fats), and this homemade protein shake does a great job of providing a good amount of protein, plus all the micronutrients needed for your entire meal. And that’s why it has some quite random ingredients in it. 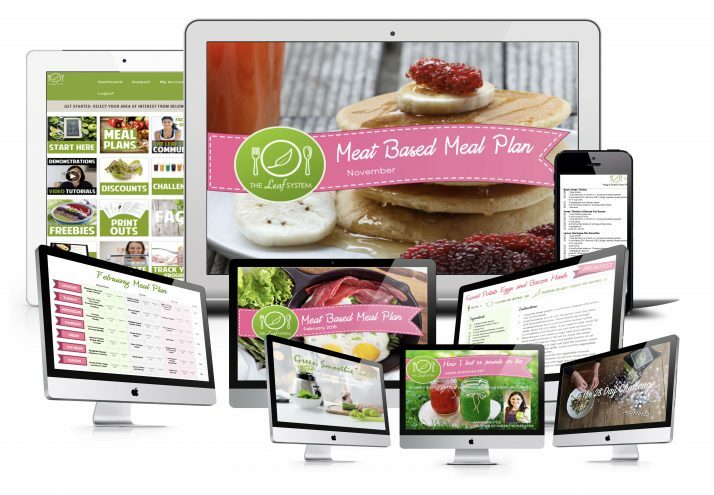 But all of the ingredients are whole foods, no protein powders or expensive processed foods. Some of the ingredients are a little unusual so I will show you which ingredients you can take out and still keep the protein and nutrients levels high while using ingredients you find at your local store. All ingredients are chosen with nutrition in mind – all daily nutrients are included in this smoothie, including a good amount of protein. This smoothie contains a whopping 32 grams of protein, 15 grams of fat and 105 grams of carbs. It is not a low carb smoothie because I don’t believe low carb is healthy. To get all the nutrients our bodies need, we have to include healthy carbs in the diet. This smoothie is quite high in calories because it is intended to be a complete meal smoothie, otherwise known as a Green Thickie. If you drink one of these for breakfast and another for lunch, you won’t need to snack and you’ll only be eating nutritious foods. This high protein shake is so nutritious that you could literally live on this alone and meet every single one of your nutritional needs. 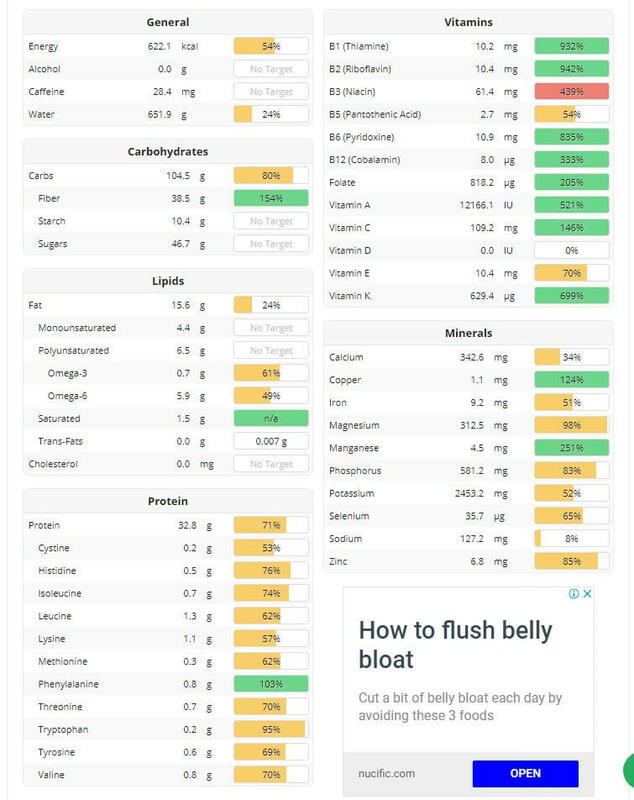 I’m going to show you the breakdown using cronometer which is a free software where you can enter in your food and it shows you what nutrients are in it. If I eat nothing but these smoothies for all 3 meals, which of course I wouldn’t do that forever, but I’m just showing you that this shake is so nutritious you could literally live on it. As you can see all of your nutritional needs are completely met, and not just the bare minimum but you have an absolute abundance of nutrients with this smoothie. You have met your omega 3s and 6s for the day, there is almost 100 grams of protein for the whole day, which suits a small female perfectly. Whoever said vegans couldn’t get enough protein needs to see this. And if you need a lot more calories than I have listed here, obviously you’d have to include more meals and snacks in your daily diet. You also get an abundance of B vitamins, natural folate and vitamins A, C, E and K.
Vitamin D can really only be obtained through the sun or supplementation so we wouldn’t expect to see very much vitamin D from food, except a little bit from mushrooms. You’ve also got an abundance of all of your minerals. The only one that is deficient, is sodium, ironically because most people are way too high in sodium, but we do need some sodium in the diet, but thankfully we can get this from vegetables. So this is one of the reasons why I would suggest not drinking 3 sweet smoothies per day, and having at least one meal which is made up of an abundance of vegetables, otherwise we are missing out on a variety of other benefits that the vegetables can bring us. Plus our taste buds do crave some sweet and some savory food each day. 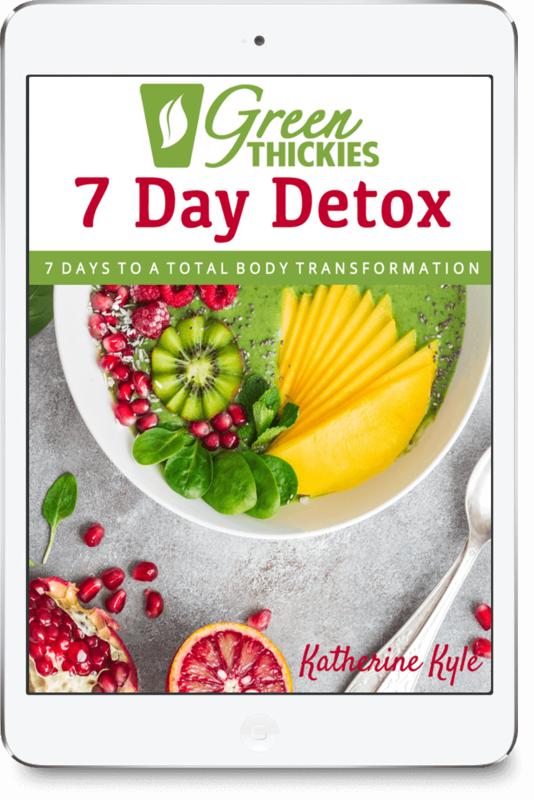 If you were going to do a smoothie based detox such as this for a period of time, you could add in some vegetables to your smoothie such as celery or drink some separate celery juice or eat a salad to get more sodium into your diet that way. I personally don’t like too many veggies in my smoothie as I like it to taste sweet. I drink a celery juice first thing in the morning and get my sodium from my vegetables in my last meal of the day. So what are the ingredients in this high protein shake? 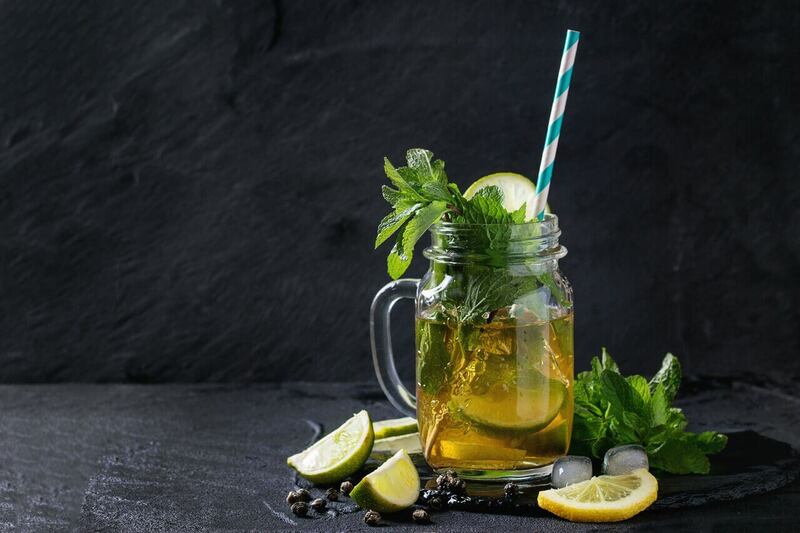 The liquid base is made up from green tea, which doesn’t really alter the taste and there is hardly any calories in this, but massive amounts of antioxidants, disease preventative compounds, improved brain function and fat loss. If you don’t want to use tea, just use plain water and it won’t affect the smoothie at all. 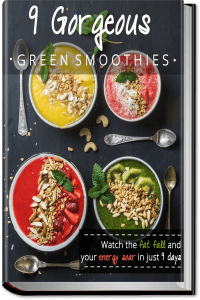 There is a large amount of spinach in this smoothie because I believe leafy greens are the healthiest food on the planet – also backed by science and this is one of the reasons why this smoothie is so high in all the essential nutrients. I see this ingredient as absolutely essential because without it you’ll be severely lacking in nutrients. I chose spinach because you can get it most places, it’s relatively cheap, it is one of the healthiest leafy greens and you can’t taste it in smoothies. 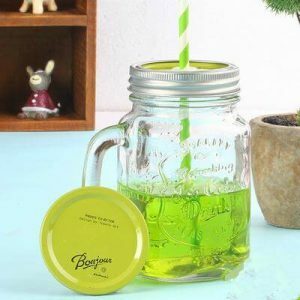 So if you can get over the appearance of a green drink, you won’t notice the taste. And even the green colour can be changed by adding more dark berries to the smoothies. 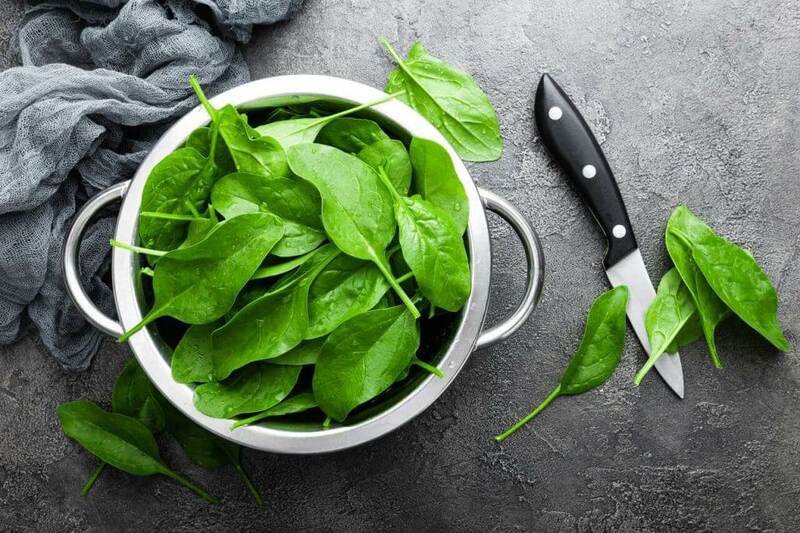 The amount of spinach contained in one serving of this recipe gives you half of the folate and vitamin C needed in one day, and all of your vitamin A and vitamin K for one day, plus many other nutrients. 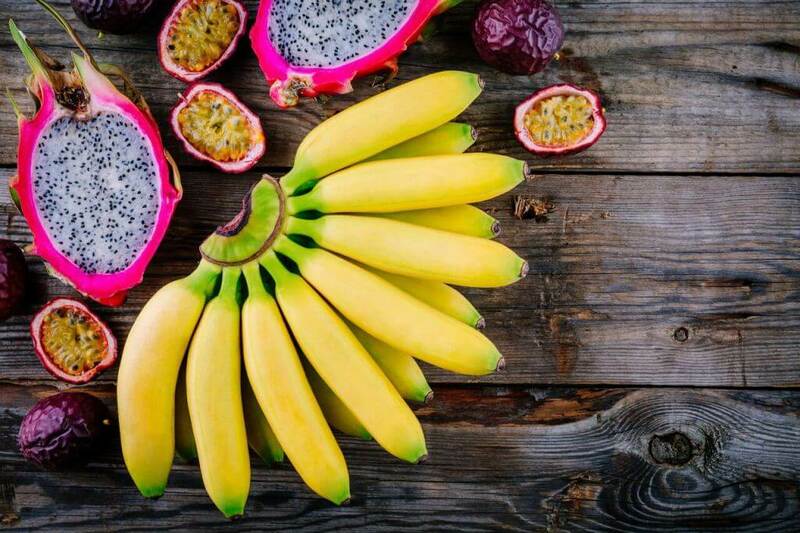 The banana is there for sweetness, to provide calories and a range of nutrients and thickness. All berries are the second healthiest food group on the planet, providing massive amounts of nutrients and antioxidants so no smoothie would be complete without them. 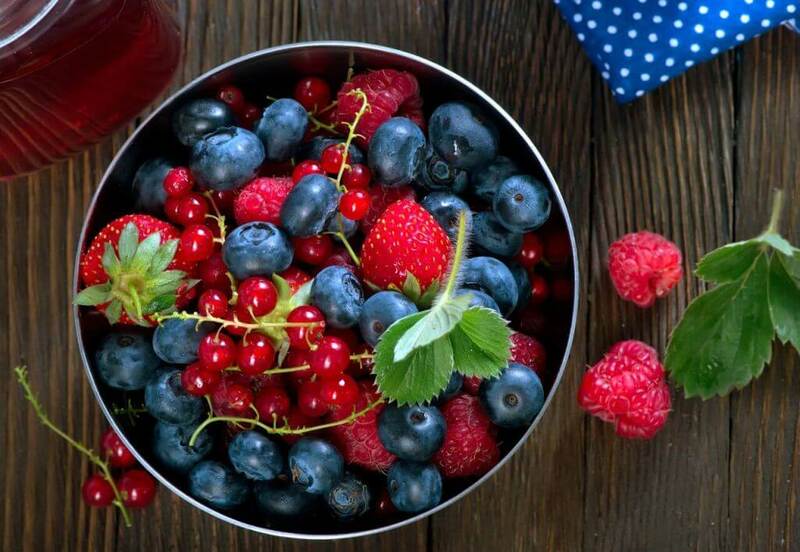 Berries are shown to decrease the risk of heart attack and stroke among many other benefits. I chose raspberries for this smoothie because they are the highest in protein out of the common berries and they taste delicious. 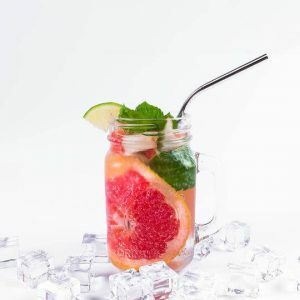 The raspberries in this smoothie will give you half of the vitamin C needed for the day, and in actual fact, the whole smoothie gives you four times the Vitamin C required in one day which is great for boosting the immune system. I have chosen to add a date to this smoothie for added sweetness and to provide yet even more nutrients. Nature’s candy. Whole foods with all of the nutrients still intact. This is one ingredient you can remove if you prefer your smoothies less sweet. 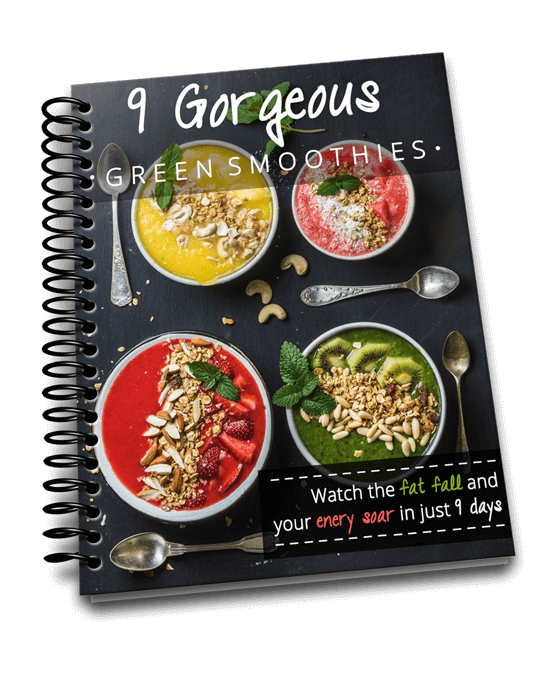 There are about 60 calories in each date, so this is also a good food to help lower the calorie count of this smoothie without affecting the protein and nutritional value. If you prefer a calorie free source of sweetener for this smoothie, stevia or erythritol are good choices. Studies have shown that red cabbage is protective against Alzheimer’s disease and cancer. 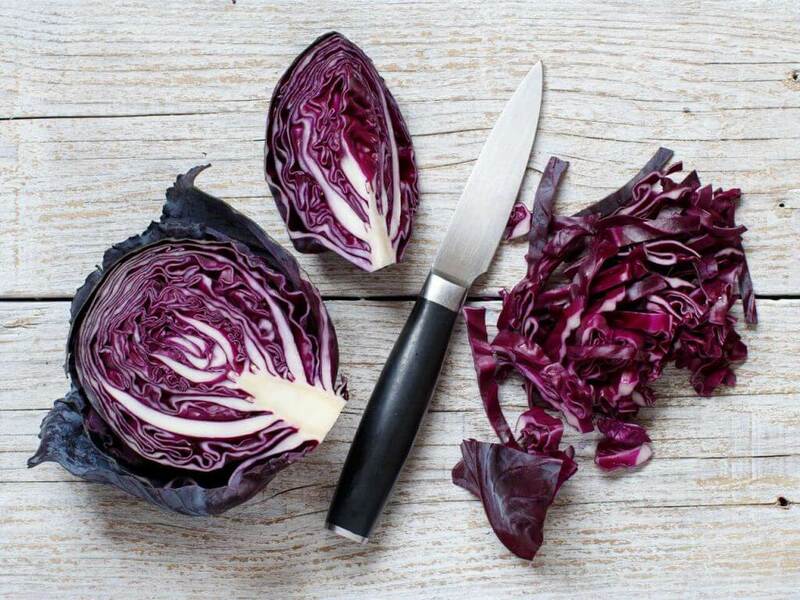 Red cabbage is very high in vitamin C, A and K and gives you the biggest nutritional bang for your buck. As we are including a fairly small amount in this smoothie, you won’t taste it. But feel free to leave this out and eat your cabbage with your dinner instead if you prefer. It dramatically boosts the protein in the smoothie by almost 10 grams. 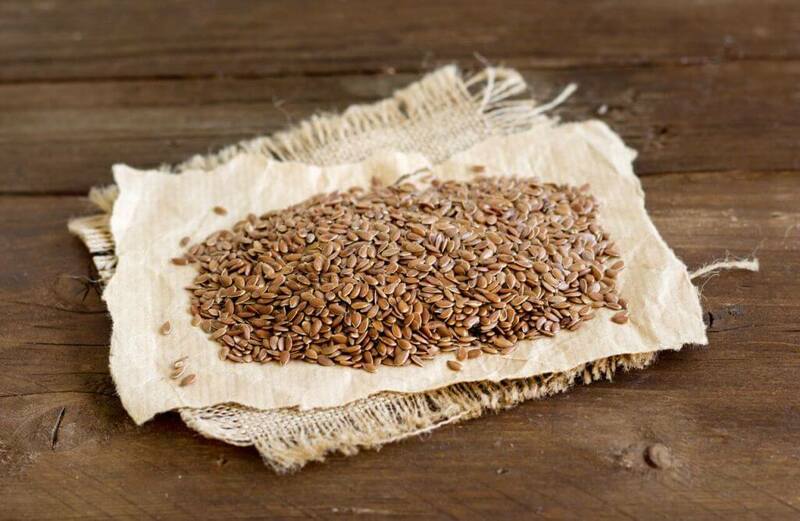 You’re also getting a good amount of essential fatty acids which help with hormones. Studies have shown that beans actually lower blood pressure, protect against diseases and increase the quality and duration of your life. Pretty amazing stuff! The second reason hopefully will allay your fears… you can’t actually taste the beans in this smoothie. They make the smoothie thicker, creamier and help to fill you up. So what I can’t understand is why anyone would choose to use a protein powder in their smoothie which contains very similar calories and protein but none of the other nutrients that you get by eating whole foods. There are a million and one reasons why I don’t eat protein powder. I believe they are a health destroying ingredient, not a health promoting ingredient, and for this reason I never plan to promote protein powder. My ethos is always health first, so I see no good reason to include protein powder when this smoothie is just as fast to make as a protein shake that you add ingredients to. If you struggle to digest beans, then blending them up in a smoothie actually pre-digests them to make it easier for your body to digest. 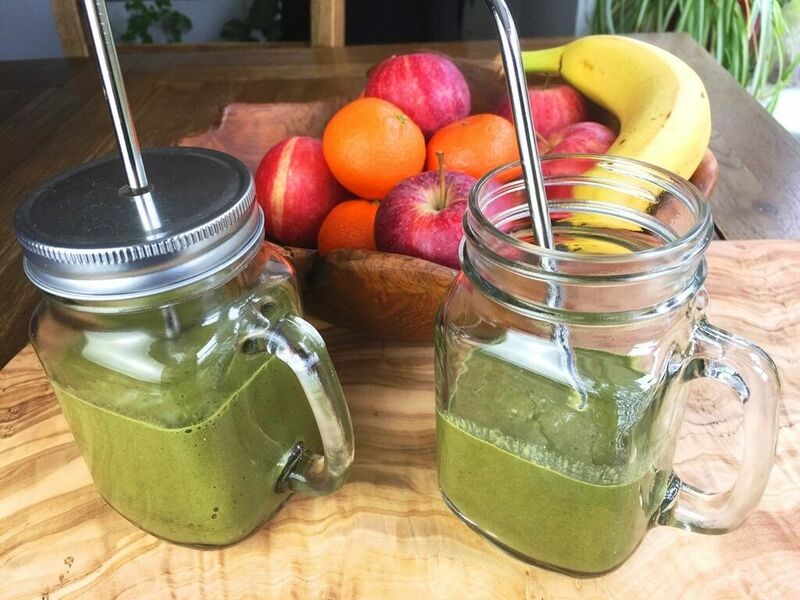 Just make sure you drink your smoothie as slow as you would a normal meal to prepare your stomach for digestion and chew your smoothie which is also a signal to your stomach that food is on the way. You might be a bit reluctant to put beans in your smoothie, but I urge you to give it a go. 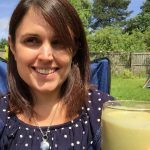 I regularly put it in my kids smoothies and they love them – and they are the fussiest eaters in the world, and my daughter has recently told me she no longer likes eating beans. So it’s even more important for me to get more of her nutrients in her smoothie. You can get about half the amount of protein from 1 cup of soy milk , but that is a processed food with a lot of the nutrition from the beans taken away and some nasty ingredients added, so I say if you can use the whole food, do that. Why waste time and money making almond milk only to throw half of the almond away when you can use the whole almond. I apply the same logic to beans. 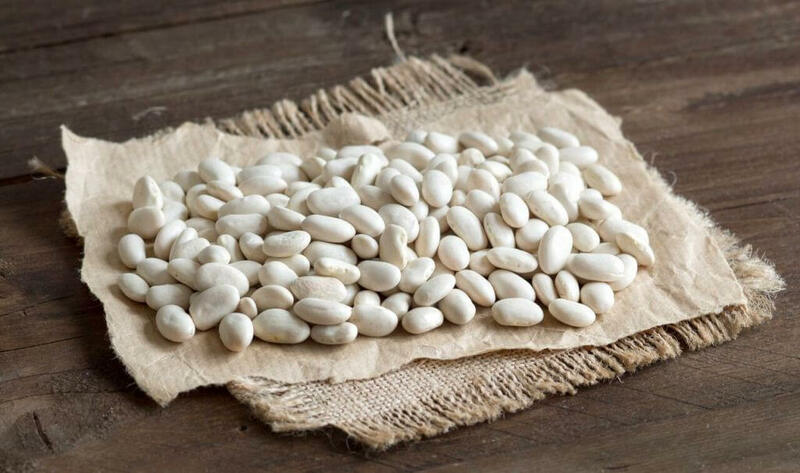 If you don’t want to use soy you can use any white beans of your choosing, navy beans , lima , butter beans, cannellini . Just make sure they are cooked first. If you buy them in a packet follow the packet instructions to soak and cook them, or if you are using canned beans, drain and rinse them first and make sure there are no other ingredients in the can apart from water. Anyway, let’s move on to the other ingredients. Sunflower seeds. The reason why I’m a fan of sunflower seeds in smoothies is because I use nuts or seeds to get a lot of my essential fatty acids. What I noticed was without the sunflower seeds, if I used any other type of nuts or seeds the omega 6s were always too low and never reached the recommended daily allowance. But sunflower seeds actually have more omega 6s than 3s, which for most people wouldn’t be a good thing as most people eat too much processed foods containing high omega 6s. But for someone like me who makes all my food from scratch, I’m interested in getting enough nutrients from healthy sources. So if you’re like me, sunflower seeds might be a good fit, but if you tend to eat quite a lot of processed foods or cook a lot with oils, then flaxseeds or walnuts might be a better fit for you. 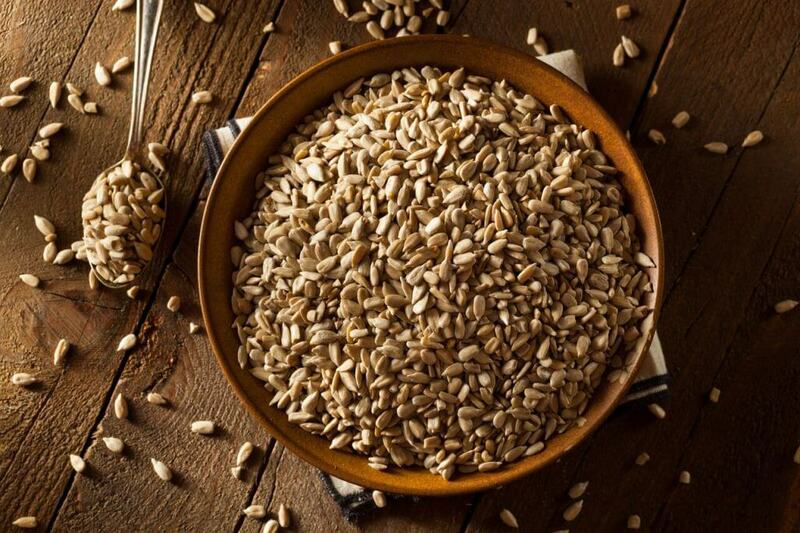 Sunflower seeds are also high in protein and vitamin E which protects the body from damaging free radicals. Moving on to turmeric. 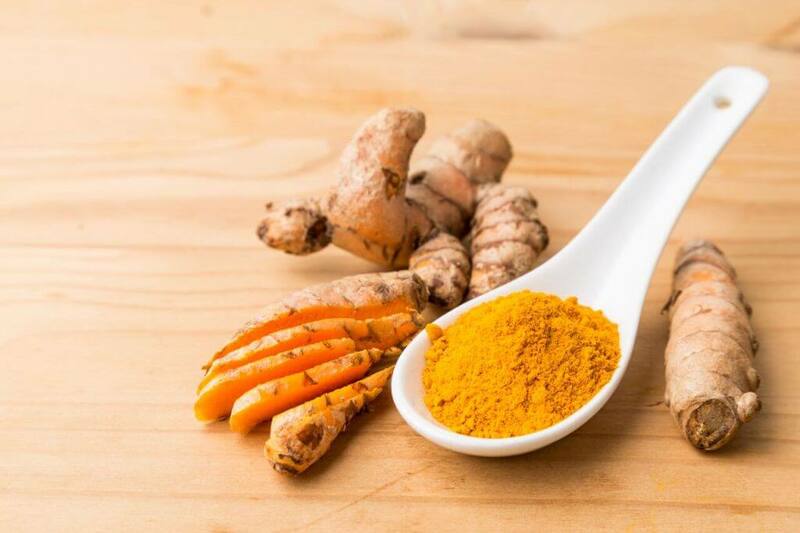 Surely by now you’ve heard how good turmeric is for all kinds of things including preventing cancer and reducing inflammation. Let’s look at nutritional yeast. This is a controversial ingredient as there are many research studies reporting that it boosts the immune system amongst other things. It is also a very good protein source, with just 2 tablespoons providing over 8 grams of protein. It is also usually fortified with B vitamins and this is a good source of vitamin B12, which you can’t get from food unless the food has had vitamins added to it. I love using nutritional yeast in cheesy sauces like my own Raw Vegan Cheese Sauce Recipe. And you can’t actually taste the nutritional yeast it at all in this smoothie. But it doesn’t agree with some people, and I am still trying to work out if I am one of them. After eating it for a while in all of my meals, I am now having a break from it to see if I notice the difference. 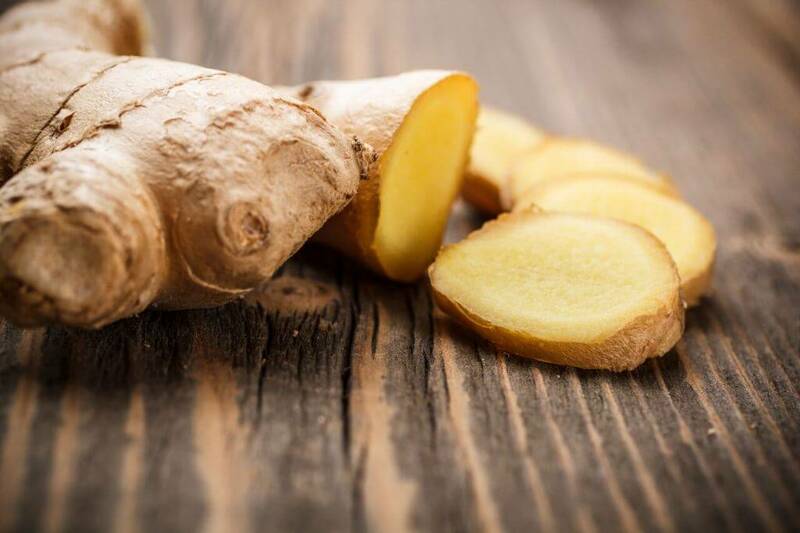 The ginger is great for digestion, reducing pain, sickness and reducing inflammation amongst other things. 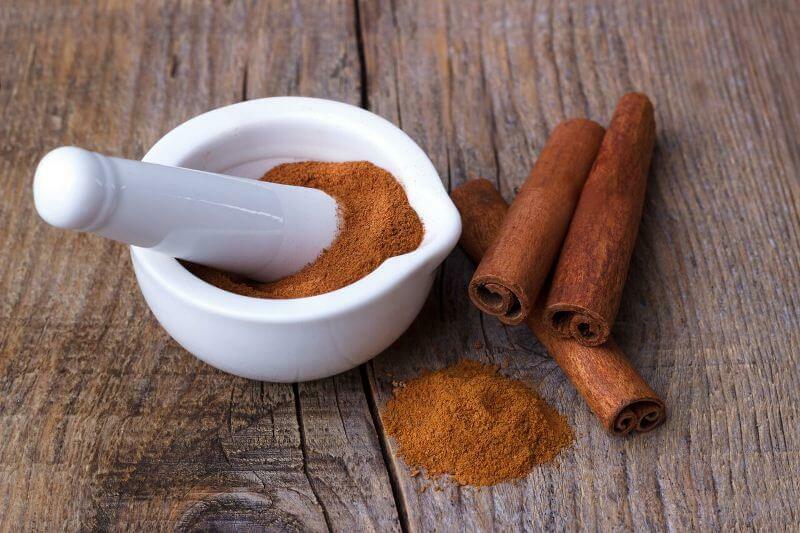 Cinnamon is another power house of nutrition, lowering the risk of heart disease and helping to regulate the blood sugar levels. 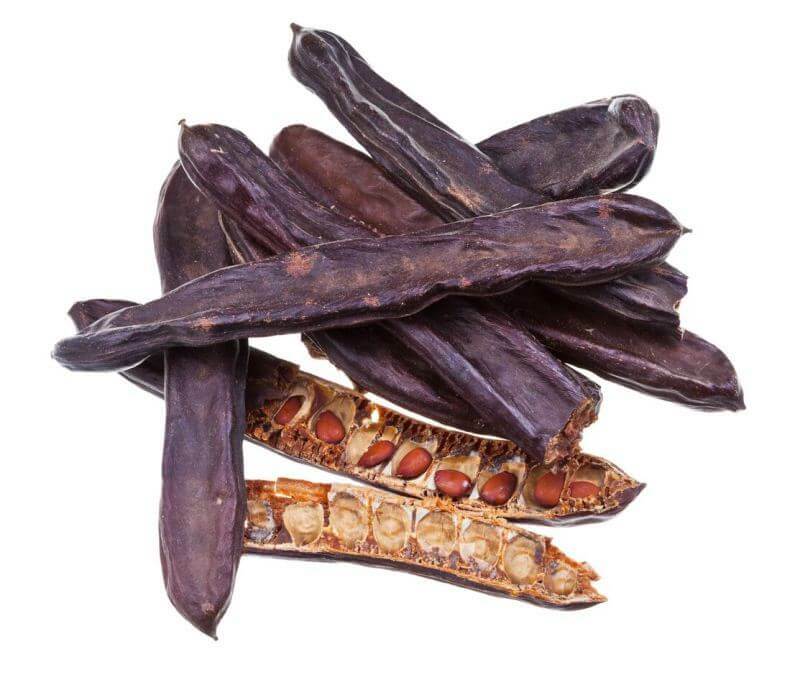 The reason for the carob powder is to give the smoothie a chocolatey taste, without the caffeine that comes with cacao powder. It won’t make much difference if you take this out of the smoothie. Likewise, the mesquite powder is mainly added for taste, as this gives the smoothie a gorgeous caramel flavour. 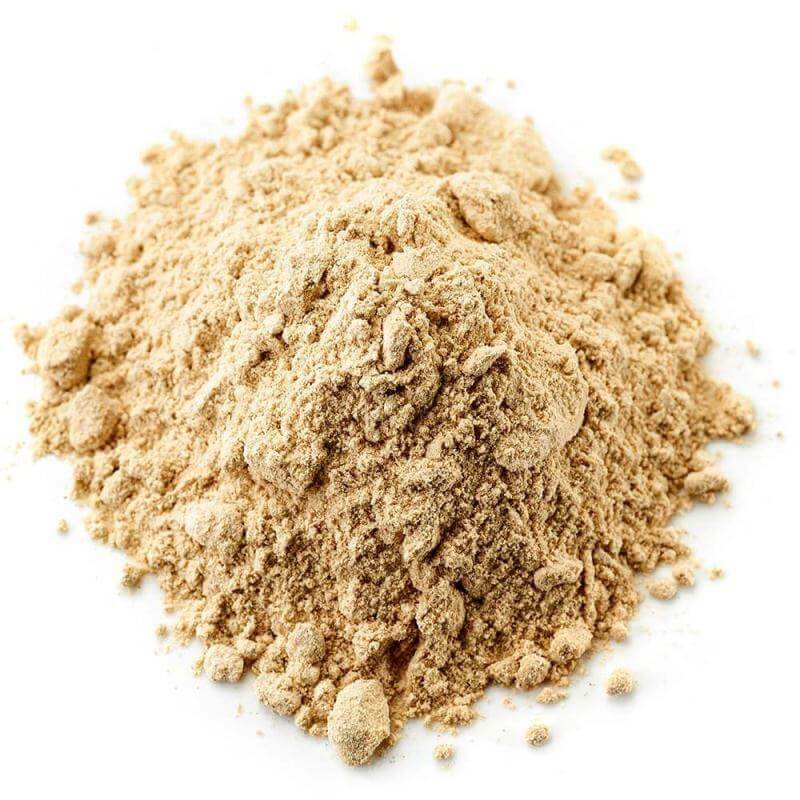 And interestly, mesquite powder is actually high in protein. Just one tablespoon provides 3 grams of protein, so you can either not include this and reduce the protein count of the smoothie by 3 grams, or add this to other smoothies to increase the protein in any of your smoothie. To keep the costs down with this smoothie, I suggest using frozen spinach and raspberries, using pre-pitted dates or raisins, and removing the nutritional yeast, carob and mesquite powder as these can be more on the expensive side and definitely not needed for great health. OK you’ve waited long enough for the recipe, but I do really hope this knowledge will help you plan nutritious high protein smoothies in the future. ½ cup of sweet potato will provide similar calories but more vitamin A and will provide a similar level of creaminess, thickness and sweetness. Add the water and the greens to the blender and blend until the greens are submerged in the water, which takes a couple of seconds. Next add the rest of the ingredients and blend for 1-2 minutes until smooth. I usually blend mine for 2 minutes with a high speed blender because I’m using hard ingredients and I don’t like my smoothies freezing cold. It is cold enough here! If you don’t have a high speed blender you can use ground flaxseeds, and you can soak your dates the night before or use date syrup which is a whole food. 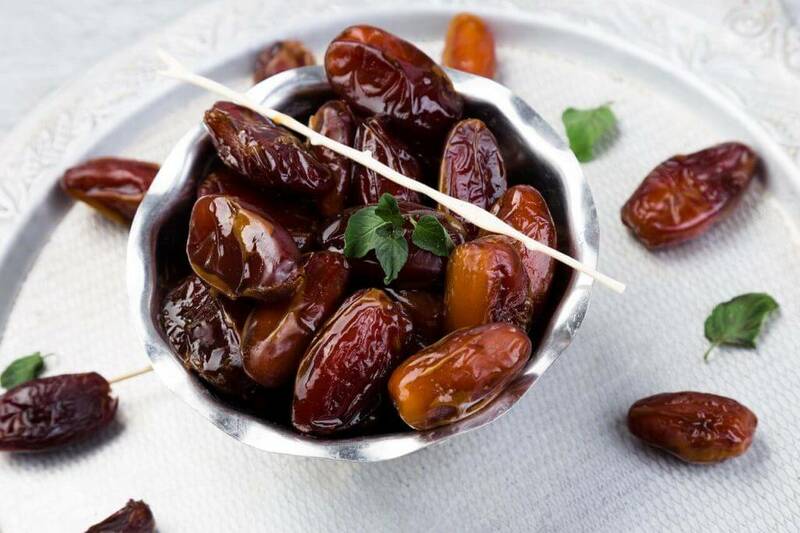 It only contains dates and nothing else. I also make a double batch of this recipe and drink half for lunch and half for dinner. Lately I’ve been adding a lot more greens than I suggested in this recipe which makes a much higher volume of liquid which I like because I feel like I have more food to eat or drink as the case may be. I’m also feeling amazing from all the added greens. I now include 240 grams of spinach in each smoothie, so 480g for the double batch which is about 2 large bags of spinach. 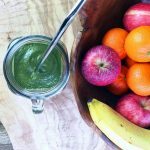 I use frozen spinach most of the time as it is so much cheaper and then I can afford to pack in loads of spinach into this smoothie. If you are using frozen greens and berries like I do, a good trick is to make your green tea, wait 3 minutes for the tea bag to steep, remove the tea bag and pour the green tea over the frozen ingredients in the blender. 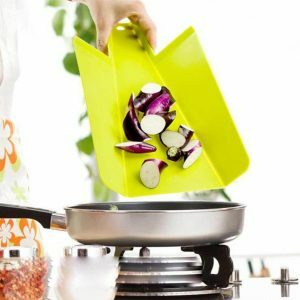 This will defrost them and make them much easier to blend. 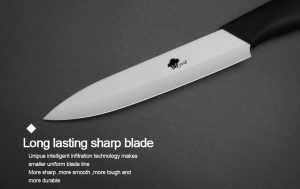 If you don’t have a powerful blender, you can always just wait for your frozen ingredients to thaw first if you don’t want to use a warm liquid. Another great tip is to add more than one herbal tea bag to your smoothie at a time. I have lots of herbal tea bags that I never get time to drink, so why not add a few different types to the one smoothie, because you are getting a lot of liquids from this smoothie, so it’s good to make sure the liquids are as nutritious as you can make them. I also boil pre-filtered water too, not tap water. If you’ve enjoyed this High Protein Shake Recipe Without Protein Powder, please leave a comment below letting me know what you thought of this high protein shake recipe and whether or not you’re going to give it a try? Have you ever added beans to your smoothie before? What do you think about that? 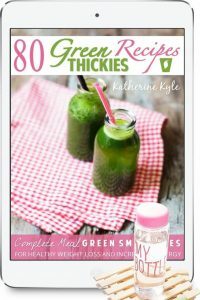 If you liked this recipe you’ll probably like some of my other recipes in my “Green Thickies recipe Series” such as my Banana Peanut Butter Green Thickie Recipe or my 2 Ingredient Homemade Protein Powder Recipe. If you enjoyed this High Protein Shake Recipe Without Protein Powder please let me know your thoughts in the comments. What a great looking recipe- it was the addition of the dates that really upped a notch, in my opinion. Two of our kids are pescatarians, and we are always looking for solid protein solutions for them. Smoothies are a definite answer, and this one will find it’s way into the rotation. cheers for the share on the weds blog hop! That’s great this has given you some ideas for protein in smoothies. For me, I cram in all of my nutritions into the smoothie and I’ve found that I feel great having beans in my smoothie for extra low fat protein. What a comprehensive post! I’ll try this smoothie soon! One question, what else do you use mesquite for? Thanks for sharing at Fiesta Friday. Protein powder is very expensive for me so it is nice to know that I can still have protein shake without buying protein powder. Thanks a lot sharing at Fiesta Friday party!